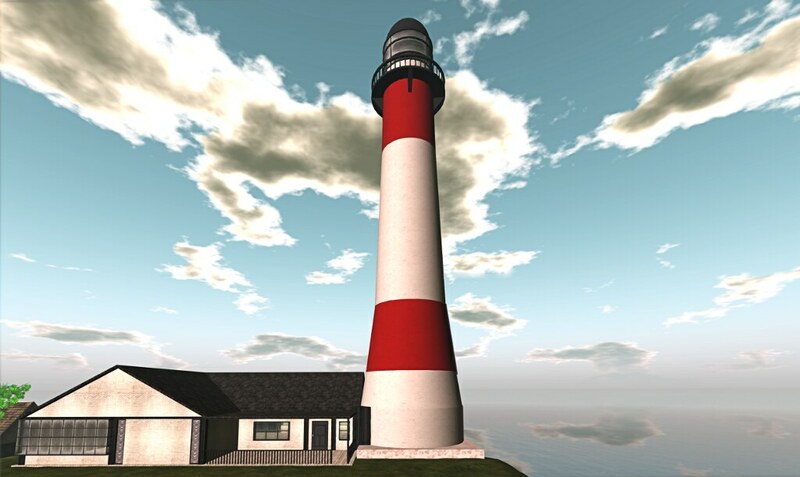 Back from my vacations, I recently had to build a new house for myself – my first mesh one – and started thinking of the ways architecture has been following in Second Life. Not that I’m a creative builder, far from it, and my house is a very conventional one, but I am an admirer of those who can really organize spaces in an interesting and pleasant way (what “pleasant” means, I’ll leave to each reader). 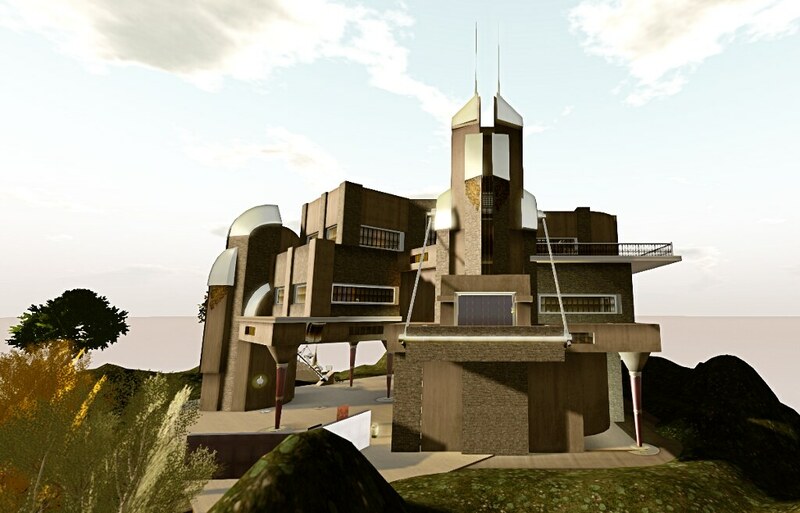 Exploring a bit, then, I realized that, either attached to a somewhat traditional imagery or searching for a more or less unusual look, a number of builders and architects in SL have been releasing their projects from the constraints of the atomic world. 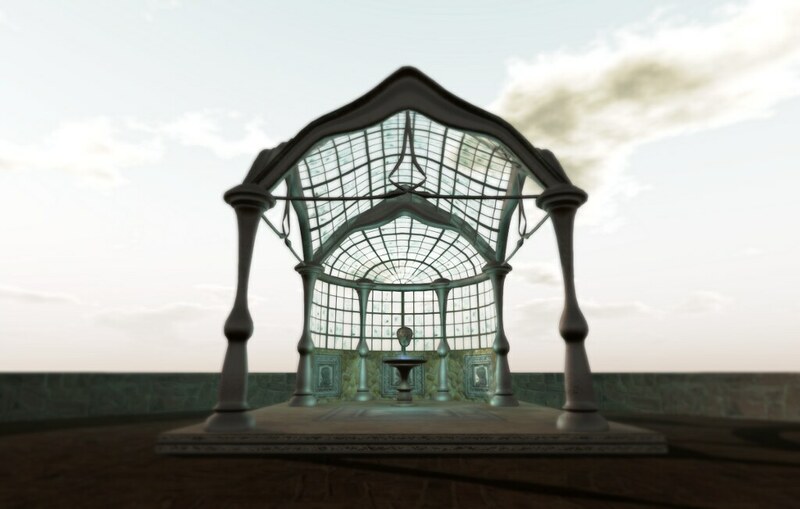 Even when architecture in SL tend to reproduce architecture in the atomic world, though, in many cases we will notice that the peculiar characteristics of Second Life will help us eliminate problems that can be a headache in our physical world. 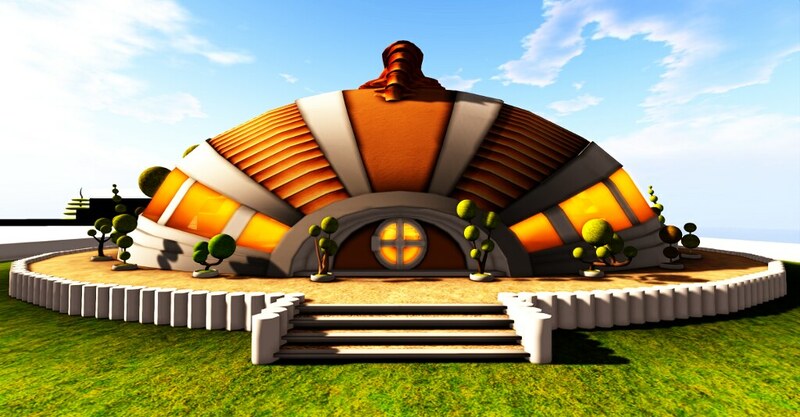 This is what happens with skyboxes, for instance, – and let’s take the skyboxes by Barnesworth Anubis as an example. 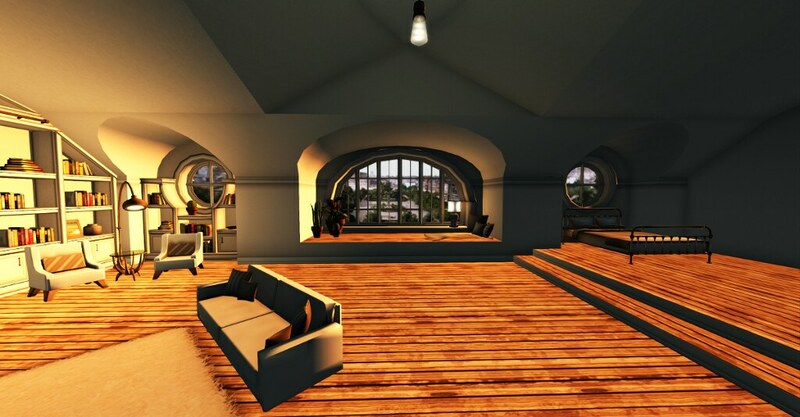 [ba]’s Stockholm Attic skybox: it’s interior is very well textured and decorated, creating a cozy environment. 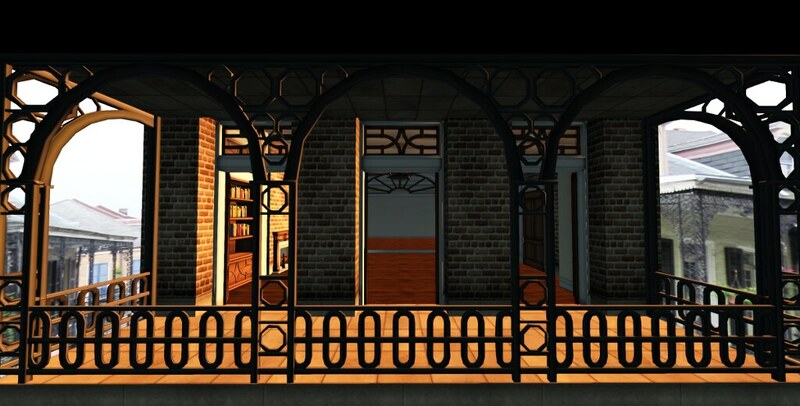 [ba]’s skyboxes are “conventional” (and very well built and textured in my opinion) and in many ways they can be seen as apartments in a building for a number of families. 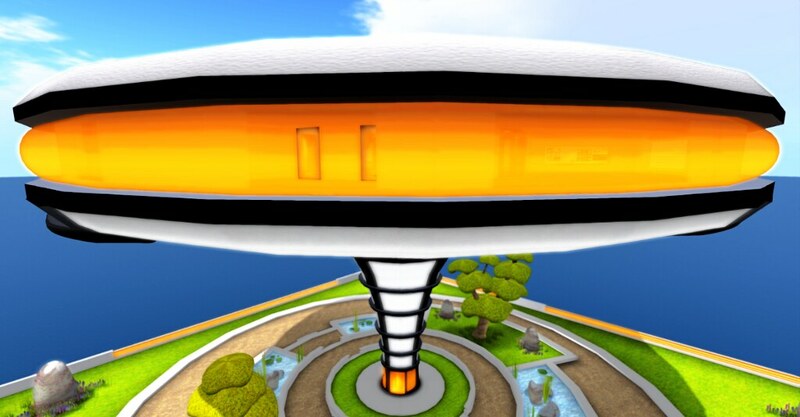 Still, since skyboxes ignore gravity and keep floating on the sky, they work as independent structures. So, when living in them, one does not have to worry about neighbors making too much noise or complaining that we are making too much noise, etc. Furthermore, in many cases they are just built as “interior environments”, their builders and owners not having to worry at all about their buildings’ exterior appearances (seen from outside, [ba]’s skyboxes are just black blocks and their exterior facades don’t matter at all). 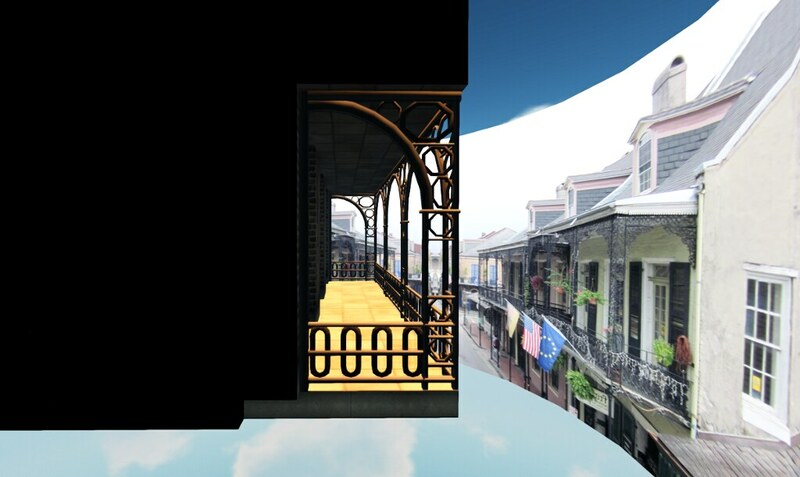 … with the side view, which reveals that, seen from the outside, the New Orleans Studio skybox is textured as a black box. Of course, it says something about skyboxes: they are mainly there as shelters (as opposed to houses that exhibit themselves to the ones who pass outside), as places turned to their interiors. They are not there to be shown, except for the ones you invite to the intimacy of your home. And that’s why, in many cases too, they do not link themselves with the sim where they are located: it has become a trend to build skyboxes with photo-based views that totally separate them from the actual surrounding skies. 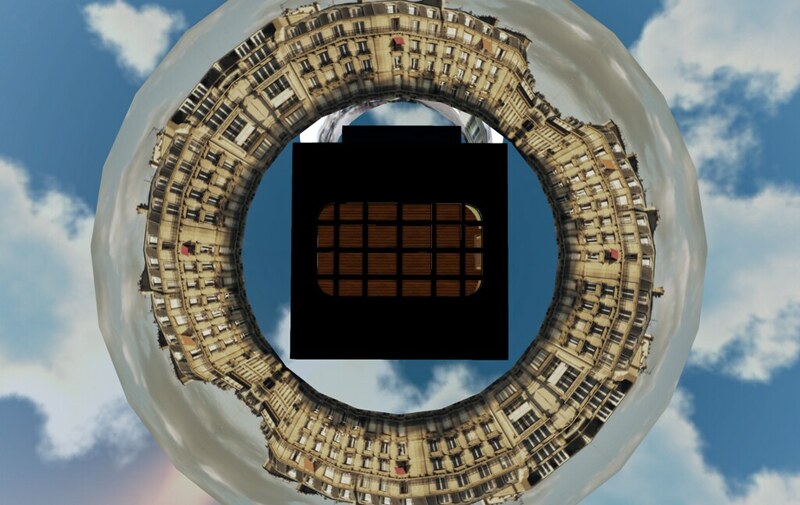 [ba]’s Paris Penthouse, seen from above: the skybox is circled by a photographic view panel. Another way to overcome the limitations of the atomic world is to contribute to creating fantasy or sci-fi-related sims. In this case, it’s not that each building itself has to be architecturally physics-defiant (though it may also be like that). What matters here is that they help sim owners to build an environment that would be hard to find elsewhere, either because physics laws would prevent them from existing or because they shelter fantastic creatures that our biology has not made possible for us. I’m thinking, then, of items like the Faery Watchtower by Alex Bader (from Studio Skye), or the steampunk architecture that opens ways to worlds in which marvelous achievements (some of them not possible even today) are attained by Victorian-era technology. 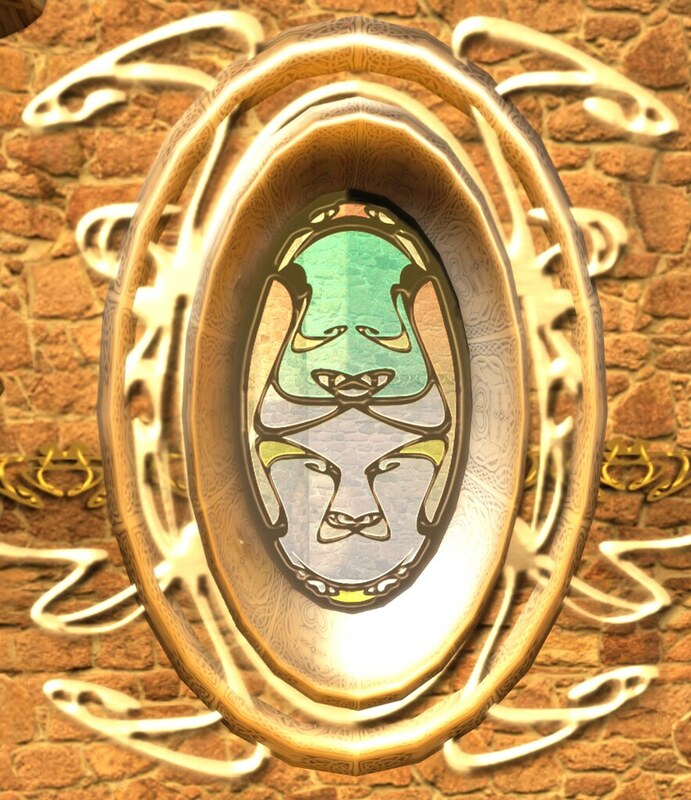 A window at the Skye Faery Watchtower: some elements recall a certain art nouveau trend. 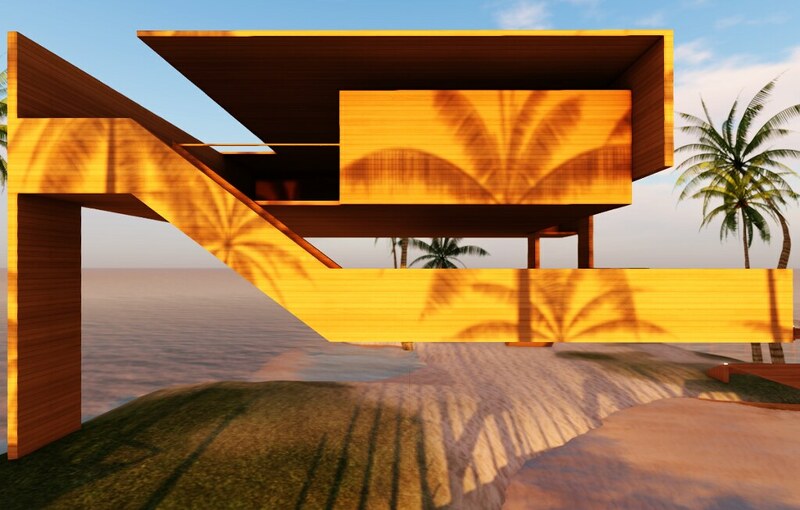 Unlike skyboxes, in these cases the buildings have to create a symbolic space that goes beyond their interiors. In other words, these constructions have to show themselves, they have to look like the world that they are both creating and being inserted in. In the steampunk domain, for example, though their styles are very different, this past-era technology turned into a futuristic environments can be “felt” both in some of Bader’s creations and in Jenne Dibou’s buildings. 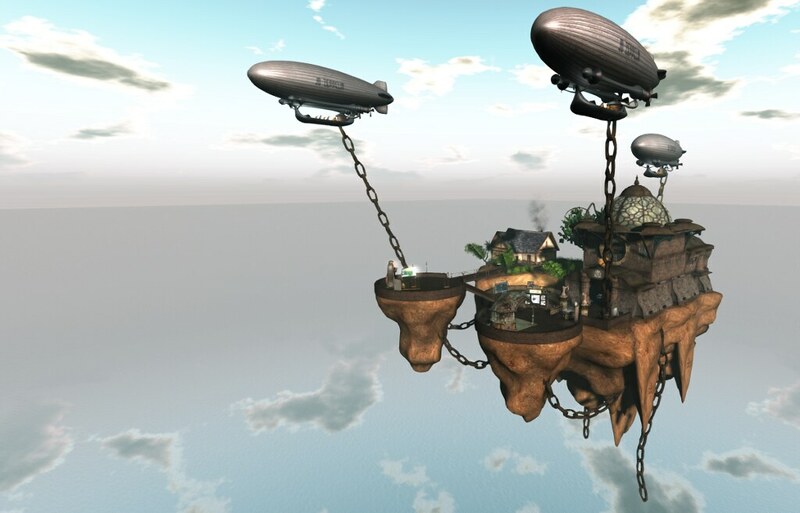 And in the Forgotten City sim, Jenne Dibou has even showed us how “possible” elements can be integrated in a physics-defying world – a characteristic seen, for instance, in the floating island where her store is located there, held in the air by old zeppelins. 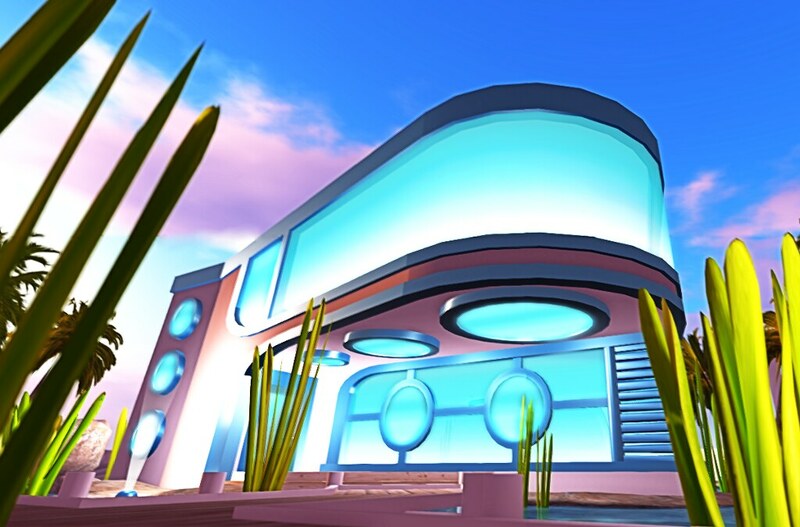 The more openly futuristic worlds (if we can classify steampunk as a “future of the past”) also depend on architecture to be created, and so is the case of INSILICO. 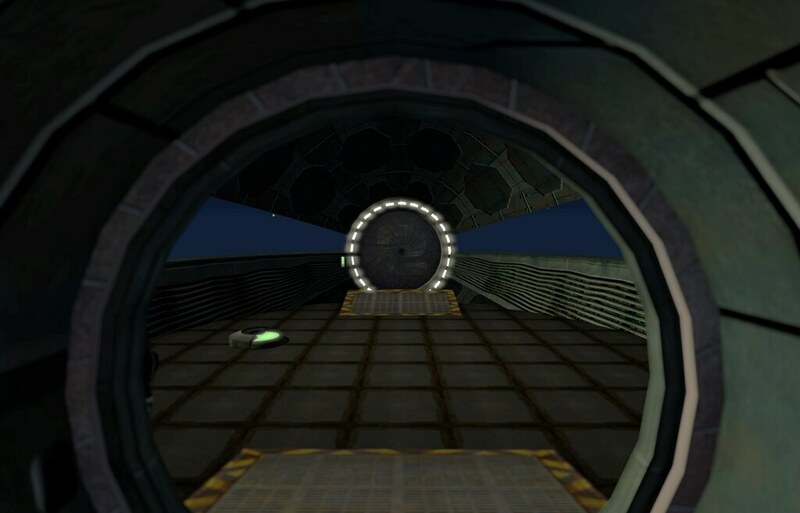 Nonetheless, examining individual buildings, the examples given by the space stations by Bash Quandry and his associates at Quandry Industries are particularly interesting to the track followed by this post. 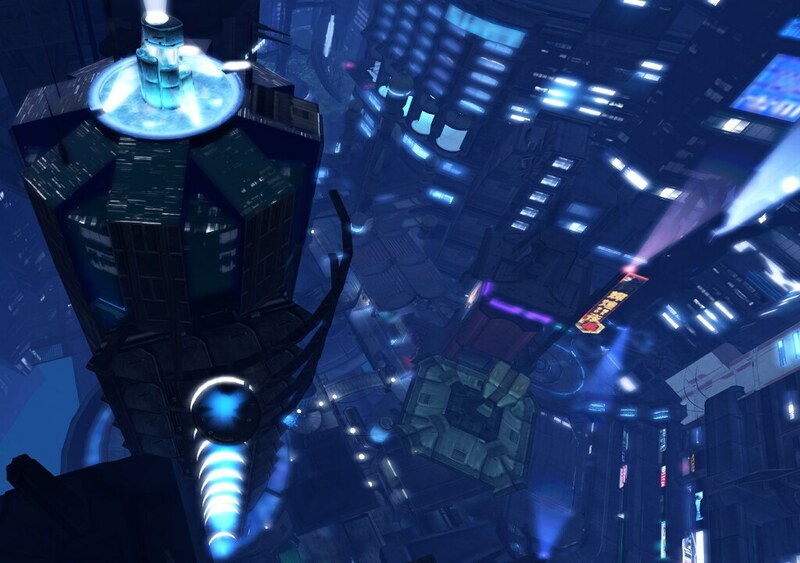 At INSILICO, the futuristic, cyberpunk atmosphere owes a lot to the buildings and the sim’s architecture. 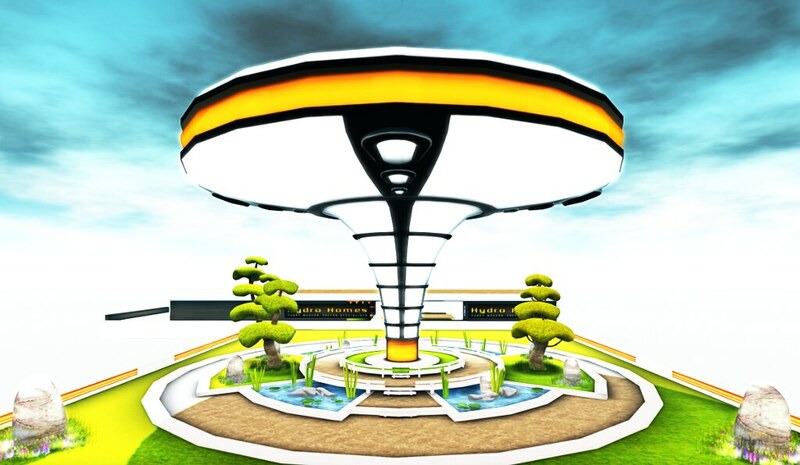 Space stations in general would be like skyboxes: independent unities placed in the sky, more or less isolated from each other. But they are also like fantasy or steampunk architecture: they are aimed to creating a symbolic space that goes beyond their inner environments – and so, they can’t just be black boxes out there. In this sense, Quandry Industries’ space stations create a very particular “outer space”. Think of Pan Am’s Orion III spaceplane or Space Station V, both from “2001: A Space Odyssey” by Stanley Kubrick and displaying white, stylish interiors and a more or less clean exterior. Or Star Trek’s USS Enterprise in its various versions, which are also relatively clean (adapting the idea of “cleanness” to each decade since the beginning of the series, of course). Now, forget about it. 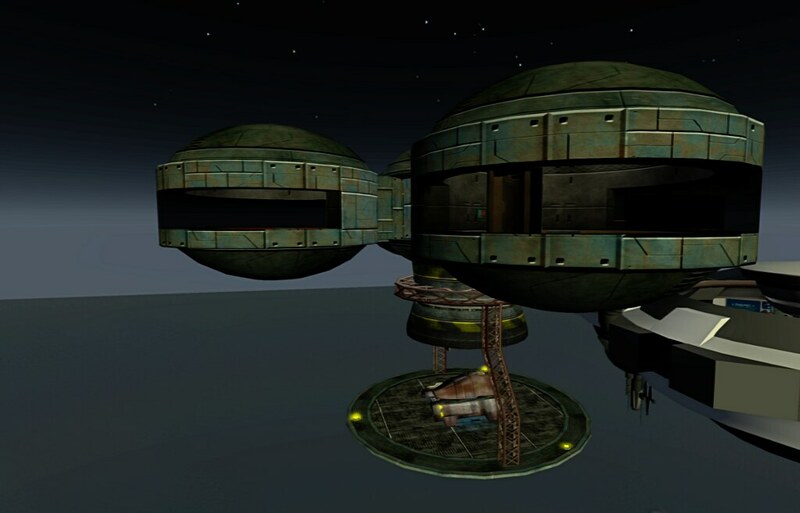 Quandry Industries’ space stations are different: they are “heavier” in the way they look, especially by means of the materials that they are made of (in a traditional, atomic-world vocabulary) or the textures applied to them (in SL and virtual 3D terms), creating, then, a more “industrial” universe. 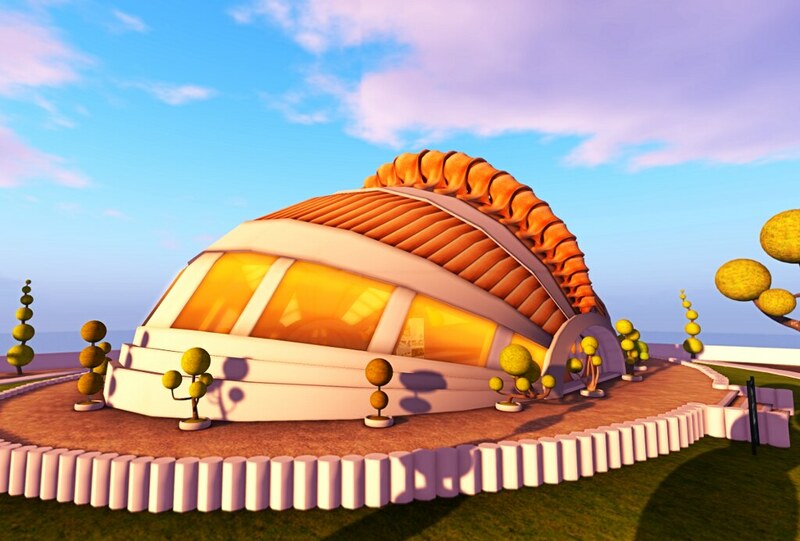 And finally we arrive at some architecture examples that, though carrying elements of modernism and other contemporary atomic-world movements, are able, in Second Life, to overcome gravity. One of my favorite examples of that is the work by Sergio Botha, of whom I became a fan from the very first time I saw a building by him. From what I’ve seen, Botha’s buildings are based mainly on straight lines disposed in a very elegant way. They are contemporary, but if I were to place them under a certain tradition, I would trace it back to Mies van der Rohe, and especially to Mies’ houses (in contrast with Gropius’, Le Corbusier’s or Oscar Niemeyer’s ones). And in many cases, wood is there, as his recurrent element. 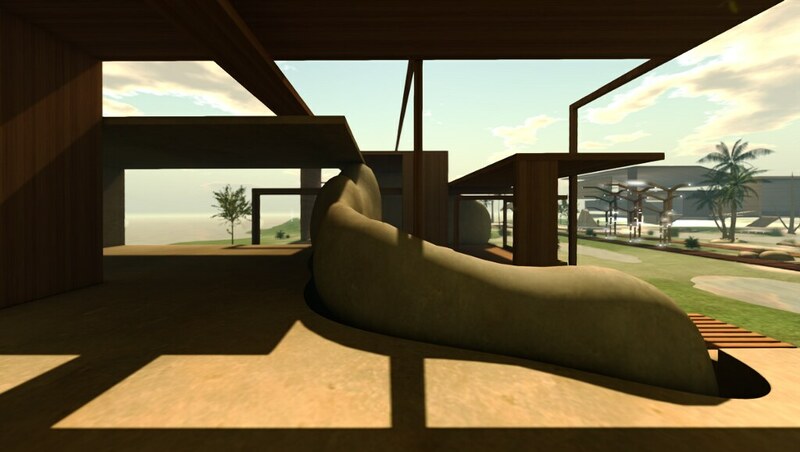 Also, of course, Botha’s work in Second Life ignore gravity. 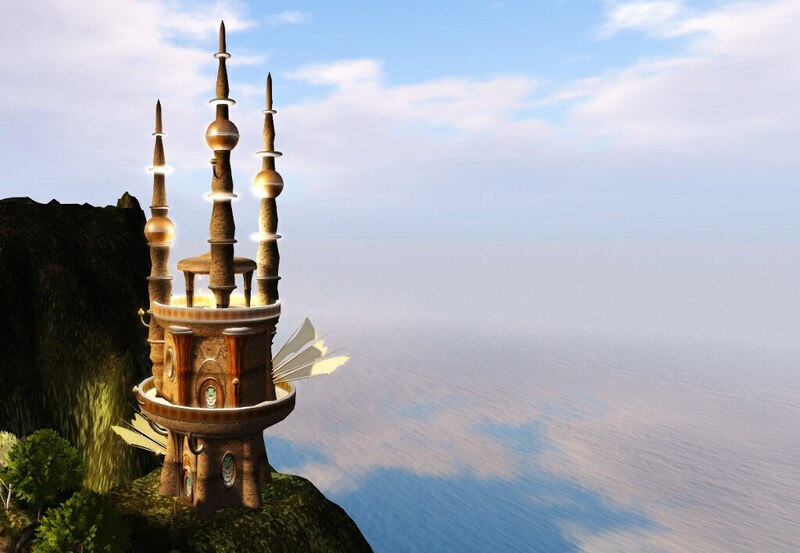 On his Wood Hut, for instance, pillars don’t matter: the structure almost floats in the air. The same can be said about the Garuda Hut, in which the second floor rests on nothing, being linked to the first floor by some stairs that obviously cannot work as a support. Also interesting is the fact that in some of his structures Botha blurs the boundaries of sculpture and architecture. In a simple distinction, one could state that, though both deal with shapes, having thus some aesthetic dimension, sculpture is not aimed at organizing space as architecture is. Nonetheless, what could we say, then, about Botha’s Installations 1 and 2? In both cases, shapes that would probably be considered as sculptures if left alone are integrated in projects in which they certainly contribute to structuring space. At Botha’s Installation 2, again a sculpture is integrated to the building. Another amazing example of a modern and interesting work is the one by Porky Gorky, owner of Hydro Homes. 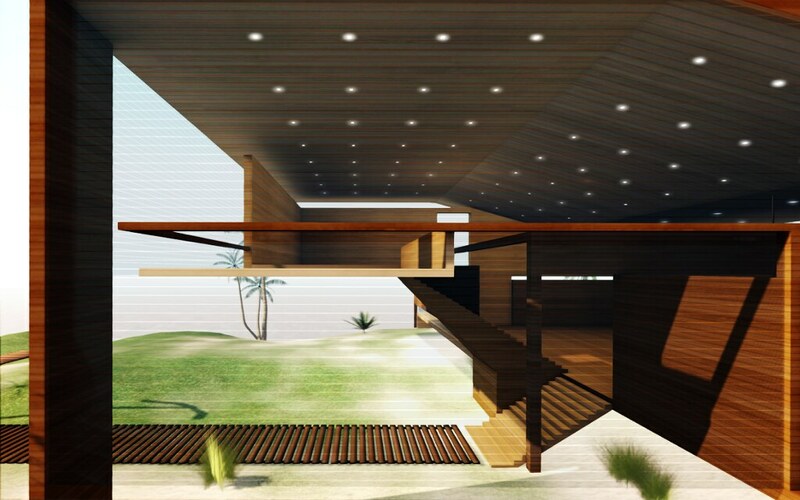 Porky’s Avenger house certainly defies gravity, as well, and brings a ceiling that is perfectly transparent if seen from inside the building, but not from outside it. 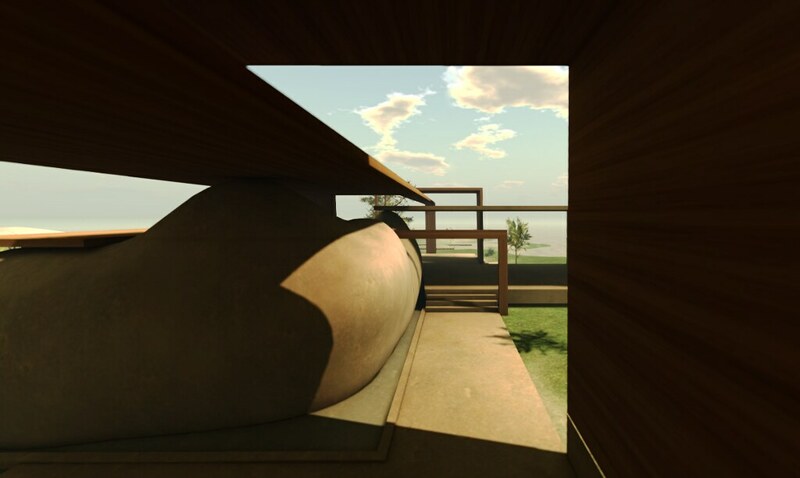 The Oceanus house also contains some elements that would mean a challenge in the atomic world, such as the long, continuous curved glass used on the second floor. Contrasting with Botha’s buildings, Porky Gorky’s ones use curved lines in a far greater extent. Also, they are very colorful, often displaying warm tones. 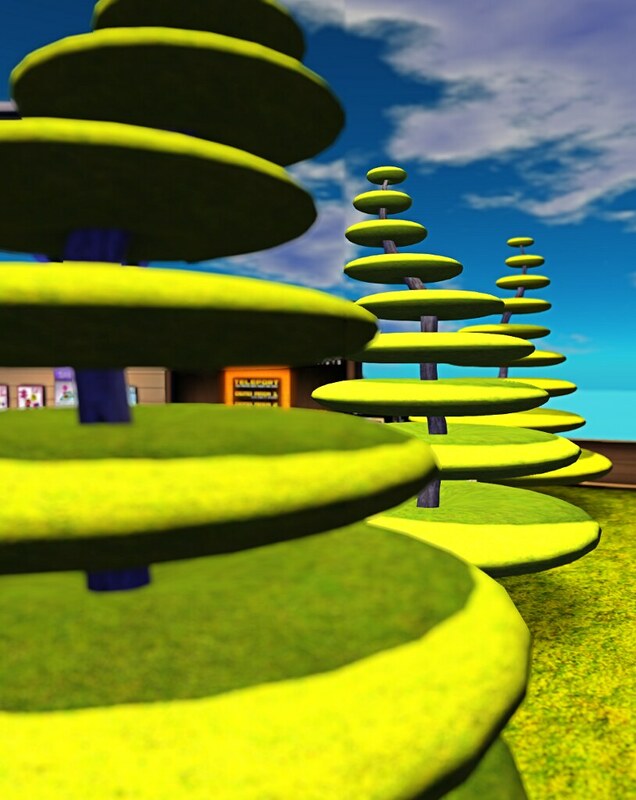 Of course, all this in Second Life is made easier by the fact that it’s not only the atomic world’s physics that we can ignore in the virtual world, but also structural calculation. In other words, since gravity won’t bring my structure down, I can build whatever I want without worrying about where i should put pillars and beams to support my building, how big they should be, what forces they would have to compensate for. So, yes, it’s like cheating on reality. On the other hand, it can be very liberating and creative, even if – or because – it’s not possible in the atomic world.